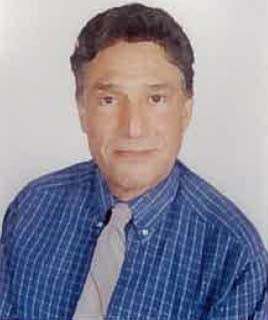 The market followed through with its longer-term bottoming process as the July interim bottom was tested this month. After having rallied 14.5% in July from an important technical level, August saw a retest with the index retracing to 6-8% above it. The market ended the month down -5.9% and -6.0% for the year. 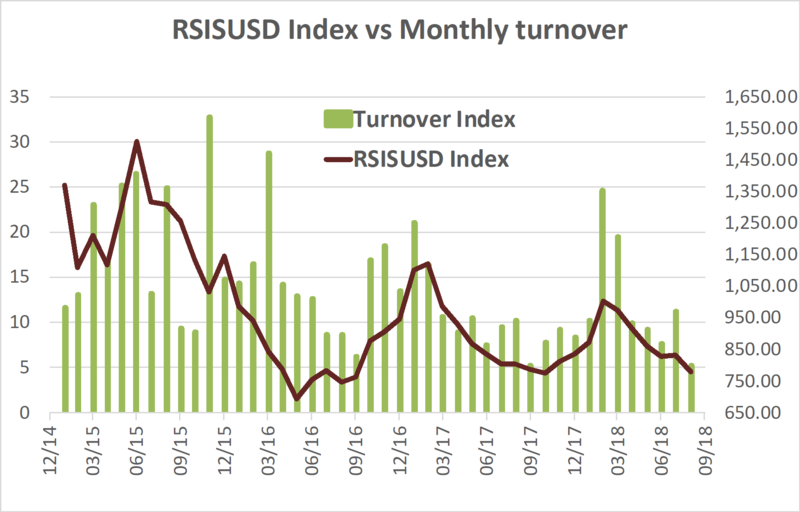 Trading volumes have been low (see chart below) with August being the hottest month of the year and the peak of the summer holidays. This year it coincided with the Eid holidays, the continuation of the demonstration that began in July and the prolonged uncertainty over the government formation – all of which put the market’s action in perspective. From a longer perspective, the current test of the July bottom is part of a much larger bottoming process, in which the index is testing the major multi-year low made in May 2016. Given the significantly improving macro picture for Iraq, the most likely outcome is for a continuation of the bottoming process, with the uptrend’s timing highly dependent on the return of liquidity into the broader economy. The thesis of the return of liquidity is supported by the latest budget data from the Ministry of Finance showing a budget surplus of about USD 12.5bn for January-June 2018, which argues for a year-end surplus higher than the USD 18.8bn that was argued for here a few months ago. The variance is driven by higher oil prices and exports than assumed earlier. Based on data showing an average price of about USD 65.5/bbl for January-August 2018, and the direction of oil prices, it would be reasonable to assume that the average Iraqi oil price in 2018 could be higher still by USD 3-5/bbl. Coupled with higher oil exports, they would imply a year-end budget surplus of potentially USD 24.5bn – equal to about a 19% stimulus for the non-oil GDP vs. the earlier estimated 14.5%. Supporting this line of thinking is the gradual appreciation of the market price of the USD vs. the IQD over the last few weeks. This premium has been range bound between about 1.5% to over 2% over the few weeks, after hitting lows of around 1.2% in June. This is likely to be a function of a recovery of government spending and a tentative recovery in consumer spending with the resultant increase in demand for imports – it should build on the first signs of this recovery as seen by the 13% year-over-year increase in imports in 2017 as the chart below shows. The link between the market price of the USD versus the IQD and recovery in consumer spending is a result of the dollarization of the economy, in that that the strength or weakness of the IQD is a function of the demand-supply balance for USD, and not a specific USD weakness or strength. While, this could be due to the re-imposition of the sanction on Iran and the likely higher demand of USD, as argued in “Iran, Sanctions and Iraq: The Bigger Picture” this is unlikely given that Iran’s access to the USD was severely restricted following the signing of the JCPOA. As such, there is no reason to expect that the re-imposition of sanctions would change thigs much, and thus the most likely explanation is increased demand for imports due to a tentative recovery in consumer spending. The implications for this line of thinking can be substantial for the oversold banking sector given its leverage to the recovery in imports. It was shown in “Of Banks and Budget Surpluses” that trade finance revenues – a major source of revenue growth – suffered severely during the years of conflict and low oil prices, which contributed to the decline in their earnings, and subsequent dismal price performance in 2018. Further recovery in consumer confidence, once liquidity returns, should lead to higher imports, which in turn should lead to an increase in the premium of the market price of the USD over the official rate to a range of 2-4%, if not higher. For commercial banks’ earnings, this means a recovery in trade finance revenues and increased FX margins, which with improvements in deposit growth and quality of loans, should imply a resumption of earnings growth. However, this improving outlook is yet to be discounted by the market. While all stock markets are a discounting mechanism, they need data to discount. Local trading on the Iraq Stock Exchange (ISX) is dominated by speculators, who tend to appreciate the true values of local assets especially at extreme valuations. However, their discounting mechanism is mostly a rear-view mirror extrapolation of the prior negative trends into the future and thus would not have taken into account this potential change in fortunes for the banking sector. 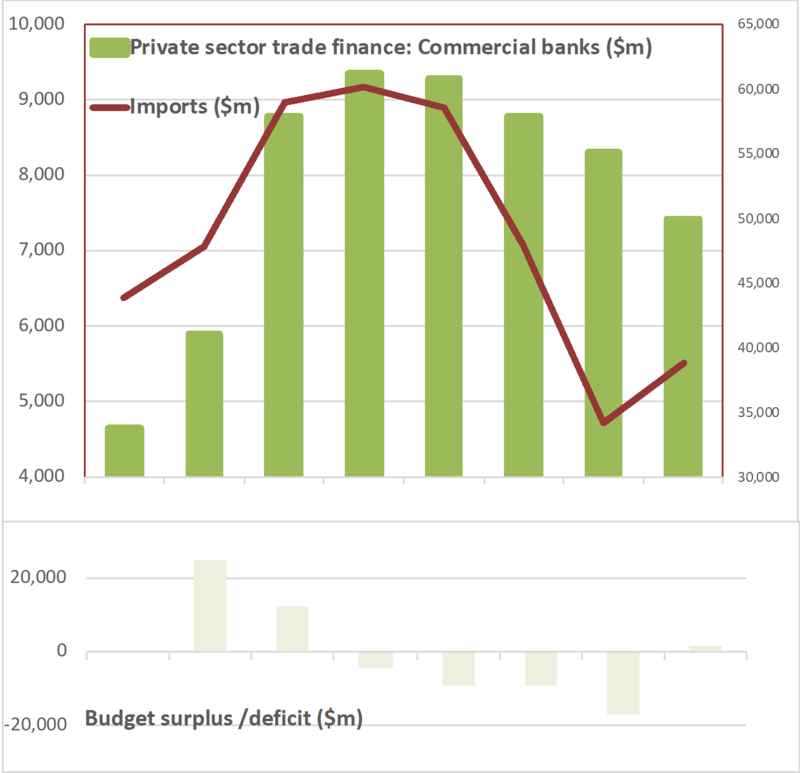 The chart above shows the trends over the last few years in commercial banks’ trade finance revenues, Iraq’s imports and the link to government budget surplus/deficit – given the centrality of the government’s role in the economy. As can be seen from the chart, the improved imports have yet to translate to a recovery in trade finance earnings for the banks. This continues to underscore the opportunity to acquire assets that have yet to discount a full economic recovery. Want to know government policies on medium scale industry for iron and food . Looking great year’s ahead in all sectors. Goid analysis.